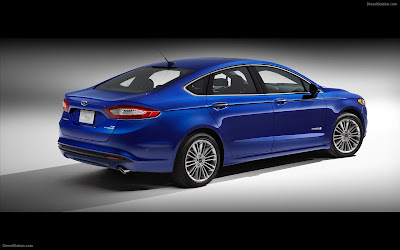 Ford’s third-generation hybrid system, which replaces nickel-metal-hydride batteries with new lighter, more efficient lithium-ion batteries, could reduce the company’s use of expensive, less-abundant rare earth metals by up to 500,000 pounds a year. This reduction of rare earth metals is important for both financial and physical reasons. First, the cost is reduced by 30 percent when compared to previous-generation hybrid batteries. Also, lithium-ion batteries are 50 percent lighter and 25 to 30 percent smaller. The result: Better fuel efficiency in Ford’s new electric vehicle offerings, including a projected 47 mpg for Fusion Hybrid and an EPA-certified 47 mpg for C-MAX Hybrid. Among the rare earth metals used in nickel-metal-hydride batteries are neodymium, cerium, lanthanum and praseodymium, none of which are used in the new lithium-ion batteries. Additionally, Ford has reduced its use of dysprosium by approximately 50 percent in magnets employed in the hybrid system’s electric machines. Dysprosium is the most expensive rare earth metal used in Ford vehicles. This reduction is the result of a new diffusion process that is used in the magnet manufacturing process. The overall reduction of rare earth metals in the lithium-ion batteries and electric machines lowers vehicle costs, which is key as Ford triples production of its electric vehicles by 2013, ultimately translating to more affordable, fuel-efficient vehicle choices for customers. Rare earth metals are a set of 17 atomic elements in the periodic table. While some are indeed rare, others are plentiful within specific regions in the earth’s crust. These metals are used in many consumer products including mobile phones, LED televisions, computer screens and hybrid vehicle batteries.